Trilobites had first emerged during the Cambrian period around 520 million years ago and disappeared at the end of the Permian period around 250 million years ago. They are the earliest known arthropods which are related to horseshoe crabs and spiders today. Unfortunately we cannot observe live trilobites now, as all species of trilobites are now completely extinct. However it is still remarkable that their existence period on the Earth is over 270 million years. Even dinosaurs could not survive such long period of time. 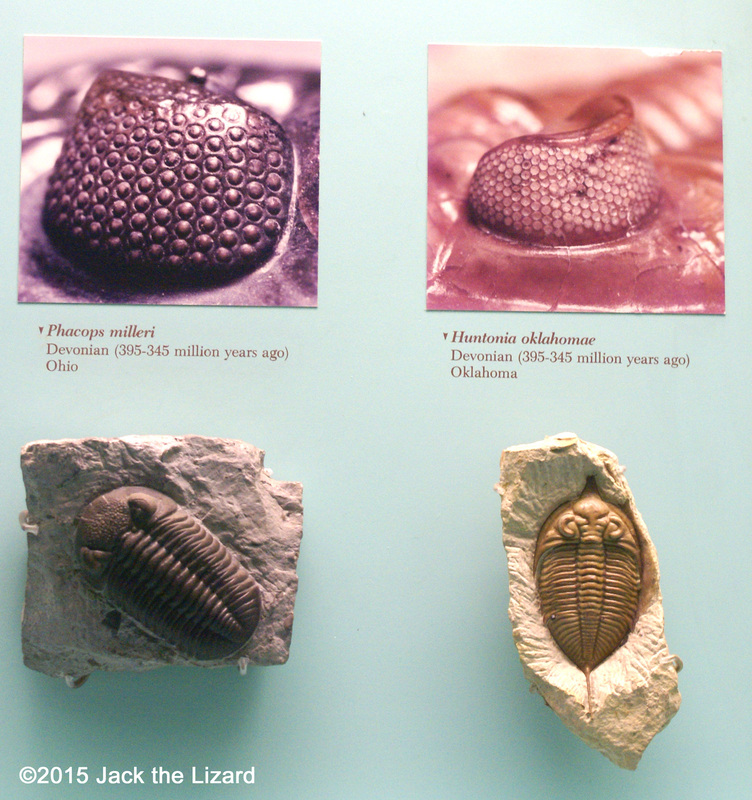 Many scientists are fascinated by the Trilobites because they give us important information on the evolution. Dr. Yumiko Iwasaki is one of the researchers who are trapped by wonder of Trilobites. Dr. Iwasaki has met many people from various countries through trilobites. Dr. Iwasaki was working at the American Museum of Natural History when she was in the post graduate program at City University of New York. Dr. Niles Eldredge gave her the first assignment that was counting individual eyes in the compound eyes of trilobites. Trilobites had already developed complex eyes since Early Cambrian period. Their eyes are oldest complex eyes among animals. "There was a pile of trilobites in front of me. I was exhausted to count those tiny eyes, but I knew that the number of eyes tell us about a unique information each species has." Trilobites have a compound eyes consists of 70 to 80 individual eyes. Some trilobite has up to 100 individual eyes in its compound eyes. 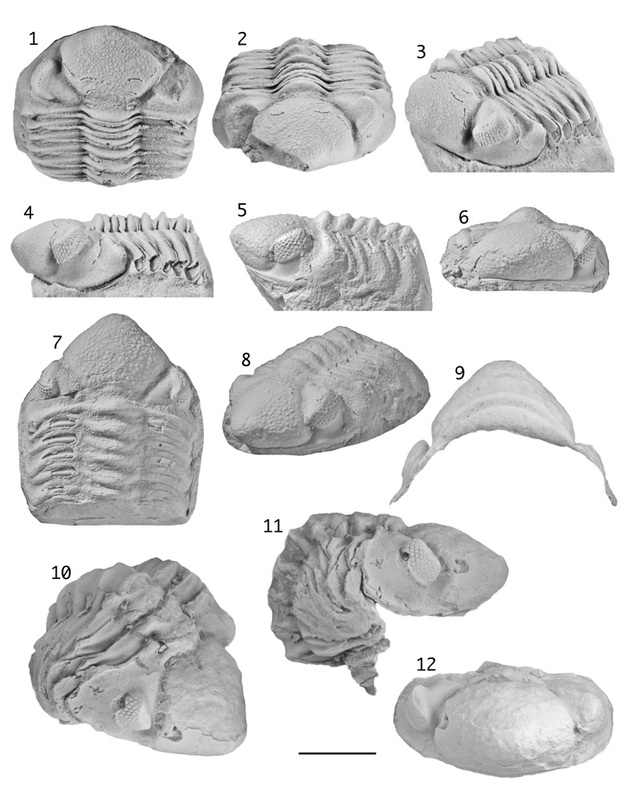 Each species of trilobites has different number of individual eyes. Knowing the number of individual eyes tells us whether it is known species or new one. Also the form of eyes provides important information such as the brightness and the depth of habitat. Usually researchers make a mold of the rock in which the fossilized trilobite is found to read detail of surface. Since the surface of the fossil is sometimes worn out, the rock records more information than the fossil its self. Also the components of the rock, not the fossil, reveal the environment of the habitat such as sandy or muddy place. "It is impossible for us to determine if one specimen is new species or not without analyzing the elements of rocks," said Dr. Iwasaki. 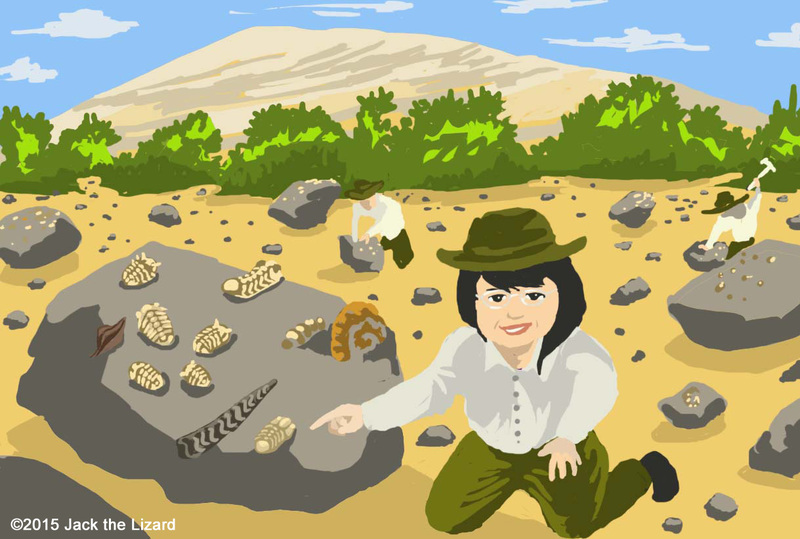 Dr. Iwasaki is not enthusiastic about collecting fossils of the trilobites, but she has a keen interest in the information on the fossils instead. Nevertheless researchers and fossil hunters are collaborated in finding fossils and share the information. Sometimes new discovery comes from their combined effort. Since some serious collectors are from world over, they know the site information such as topography and climate. On the other hand they need advice from experts because many forgeries are circulated on the market. When Dr. Iwasaki is asked for the judgement, she tries to find the trace of bubbles which are made during the process of molding. Usually such bubbles are transferred to surface of forgery. Poor one even has a coat of paint. This new species of Viaphacops is published in the dissertation of AMNH (American Museum of Natural History). The scale is about 0.4inches (1cm). Italian missionary Giuseppe Pirovano has found this specimen in Cochabamba. Since fossilized trilobites are always found in the stratum which including other oceanic animals such as brachiopods and corals, trilobites are oceanic animal as well. Also trilobites were adapted to various oceanic environments such as warm, cold, shallow, and deep water. Even though no fresh water trilobites are found yet, remains of trilobites are found all over the world. Certainly they are super animal in the sense of adapting to any oceanic environments, but why they could not survive the Permian mass extinction remains unsolved mystery. One possible reason is that volcanic activity had changed the elements of sea water. Another is that agile predator such as fish and ammonites had eliminated large number of trilobites. 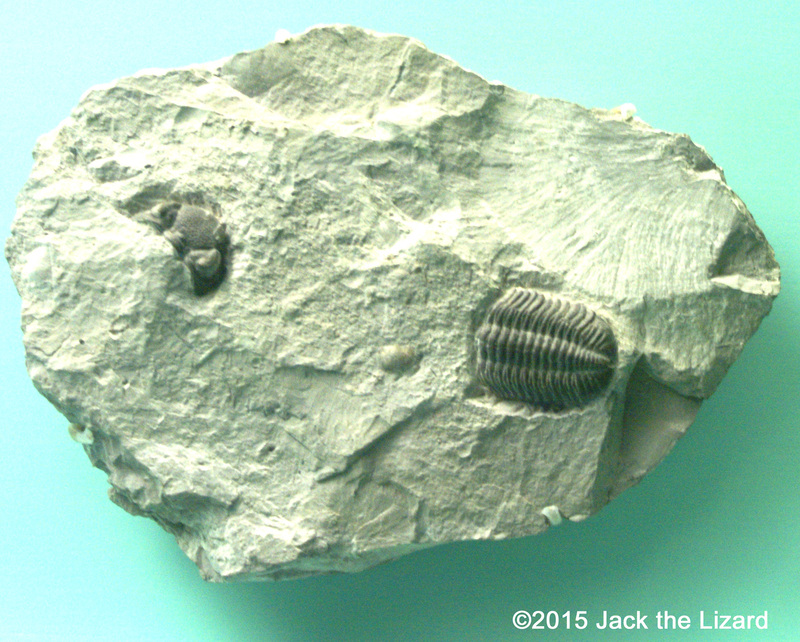 One thing certain is that most trilobites had disappeared during the late Triassic period. Now Dr. Iwasaki studies burrowing depth of young horseshoe crabs. Horseshoe crabs have lived since the Ordovician period about 450million years ago and are distant relative of trilobites. Greater burrowing depth means less oxygen rate in the surrounding. Probably trilobites could not survive such environment, but recent study of Argentine scientist group shows that some trilobites in a late Silurian-Early Devonian period had buried in soft sediment. According to that study young trilobites were vulnerable to predator when they were molting. So they may have borrowed the nest of brachiopoda such as Lingula anatina and cephalopoda such as orthocerida. Additionally they had developed thick skeletons and defensive spines against predator. Those defensive strategies prove that enormous number of trilobites was eaten by predator. The ecological system of ocean life was sustained by them. This specimen was discovered in Ma'der Basin which is located in south of Alnif, Morocco. Drotops lived during the Middle Devonian period about 380 million years ago. 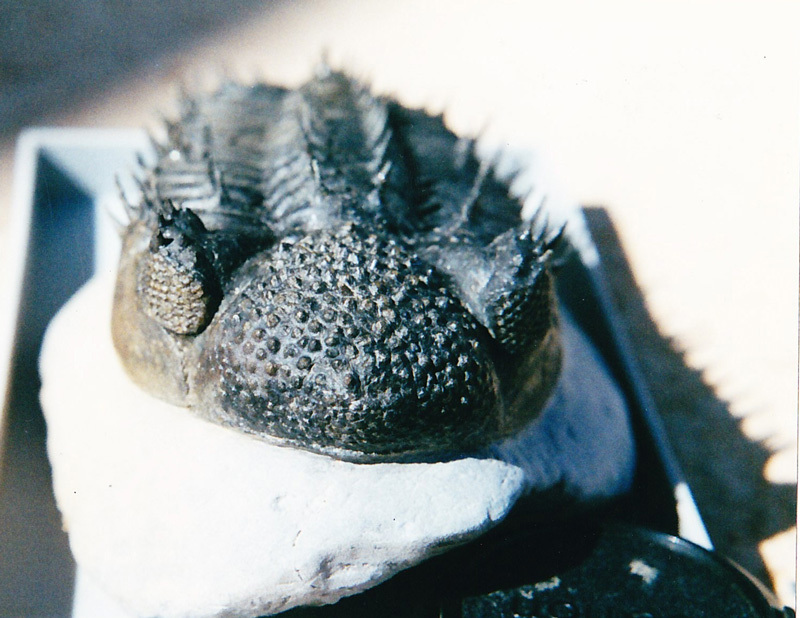 Drotops were relatively large trilobites about 8 inches (20 cm) long. This outcrop is found at near Erfoud which is an oasis town in eastern High Atlas, Morocco. The Middle Devonian strata are included in this outcrop. French collector was looking for trilobites carefully. The Berbers are indigenous people living in the desert. Tourists are able to experience desert life of the Berbers from Erfoud. 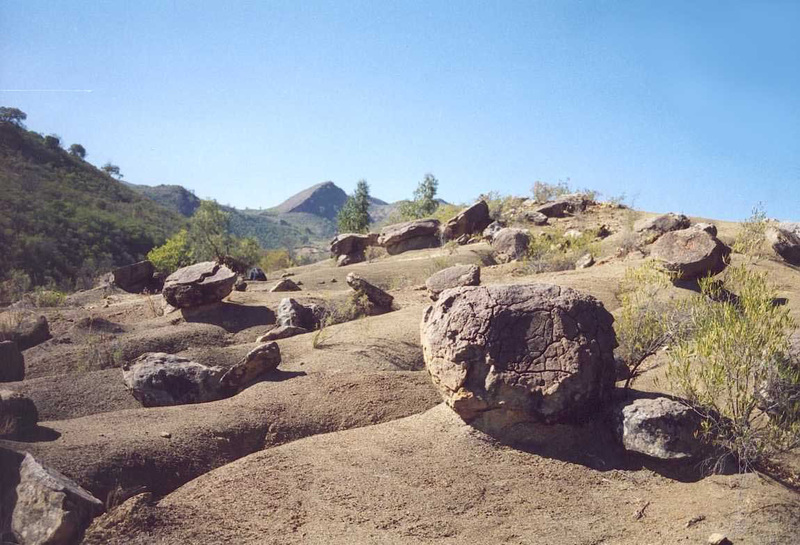 This stratum is found at near the town of Totora and Aiquile of Cochabamba Department in central Bolivia. The large rock with mud crack was probably carried by Glaciers. Now the outcrop is at the altitude between 6600 and 9800feet (2000 to 3000m). Since mud was deposited under the deep sea during the Early Devonian period, the bed includes shale layer. New species is found at this stratum. Bolivia and Peru were under the cold sea water when trilobites still swam. On the other hand the area of New York and Kazakhstan now was in tropical water region in which even the coral reefs could be found. Dr. Iwasaki is a specialist in the trilobites of mid-Devonian period about 380 million years ago. She has made scientific expeditions around the world. 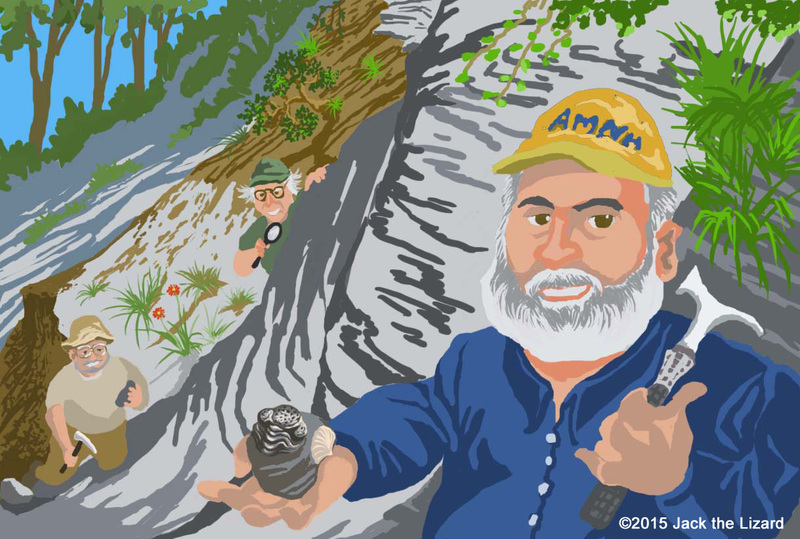 During the field survey scientists need local information to find outcrops in which trilobites are found. As fossils are expensive merchandise in these days, they are excavated intensely in some sites. 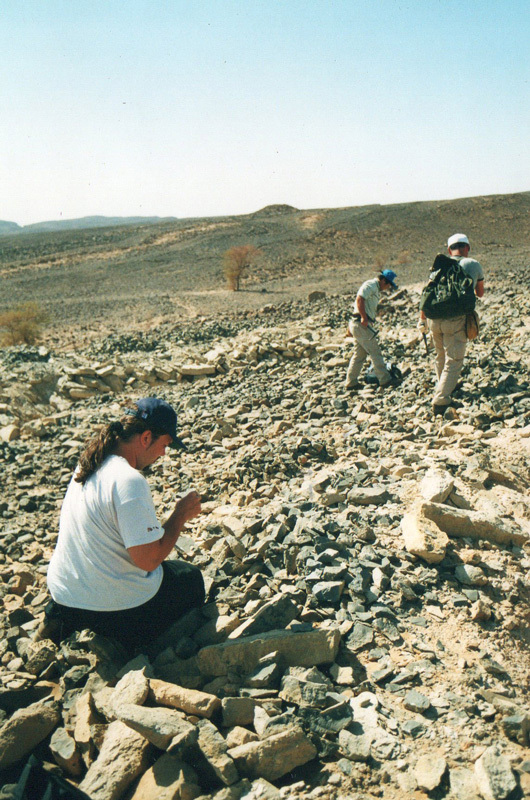 Under these circumstances local fossil hunters know how to get to the site and where to find. Also scientists must prepare for the weather and natural conditions such as pests and sandstorm. "It is almost impossible for us to find the fossil bearing-layers without the assistance of local people, because the area is vast and there is no easy access to get there," said Dr. Iwasaki. Dr. Eldridge is still looking for the wonder of trilobites. Dr. Eldridge has formulated the theory of Punctuated Equilibria along with Dr. Stephen Jay Gould in 1972. The theory of Punctuated Equilibria states that evolution occurs suddenly not gradually and then enters into stable condition for long period of time. Today Dr. Eldridge tries to understand the mechanism of past and present biodiversity crisis through his scientific research. One day at laboratory Dr. Eldridge advised his student Yumiko that she should observe a fossil as if it was a live animal and not treat like a mere rock. After that he gave her eggs of tadpole shrimps which are related to horseshoe crabs. Dr. Iwasaki took good care of tiny shrimps. She has never forgotten her teacher's lesson. 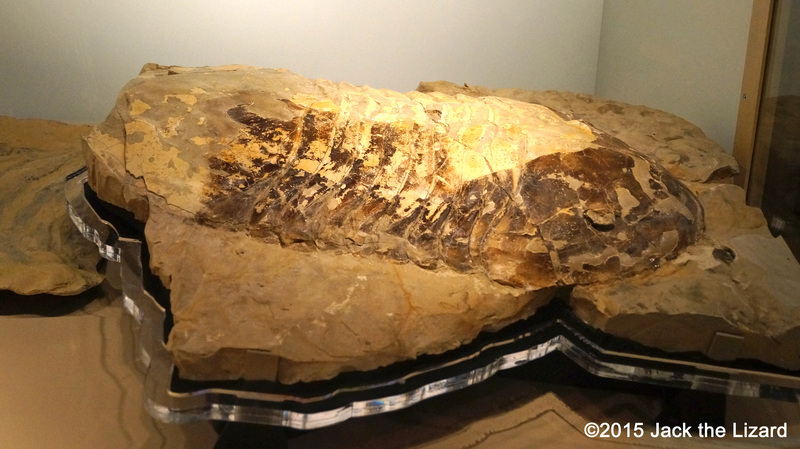 Most fossilized trilobites are exoskeletons left after molting. Trilobite found in a position as a curled-up woodlouse is a mummified one. The specimen is dated the Devonian period from 395 to 345 million years ago. 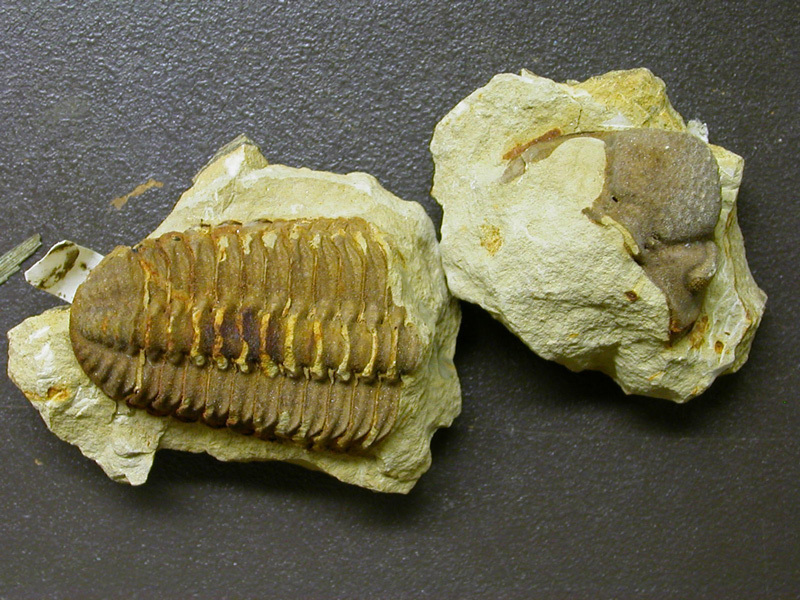 Trilobites molt head first, then shed body parts gradually. Isotelus rex was found at the coast of Hudson Bay, Northeast Canada in 1998. The size is about 27.5 inches (70 cm) long.